Square transparent green glass trinket / candle dish measuring approx.10cm square. 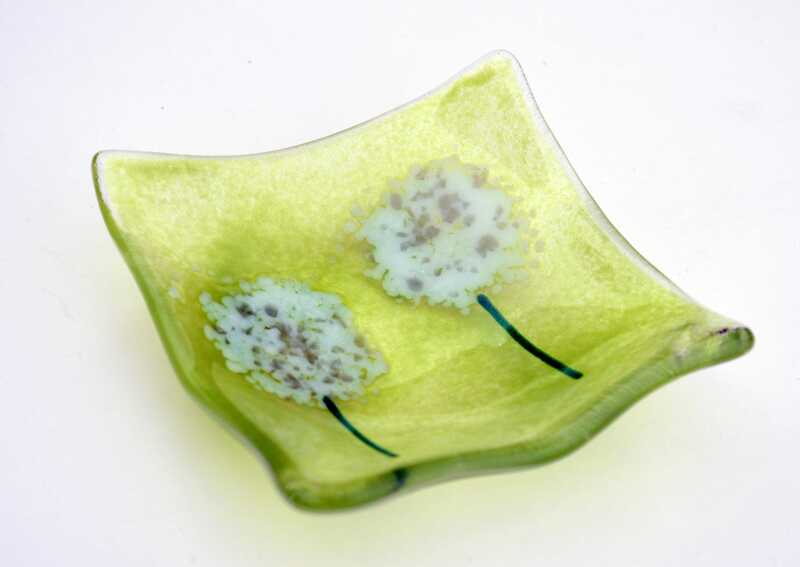 Handmade myself by fusing glass in a kiln. 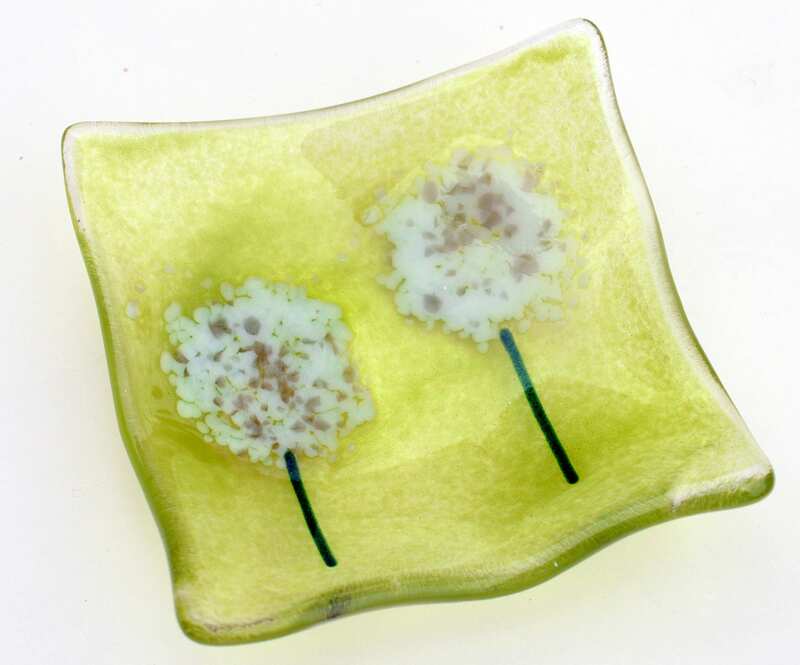 The design on the top of the dish is two dandelions created from crushed glass and green glass rods. 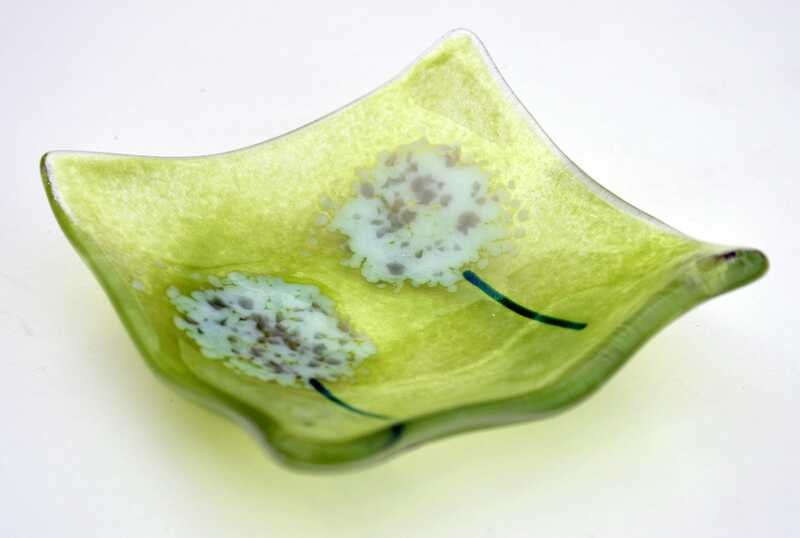 A second kiln firing slumps the glass into a dish shape. Will come wrapped and tied in my hand stamped paper.